Irving proceeded to boil water and make himself a bowl of spaghetti, the woman told deputies. He washed up in the bathroom, undressed fully and walked around the house naked, the affidavit said. INDIAN RIVER COUNTY — A 70-year-old woman got quite the shock when a stranger broke into her home while she was resting on her couch about 6 p.m. Monday, and the evening only got weirder from there. 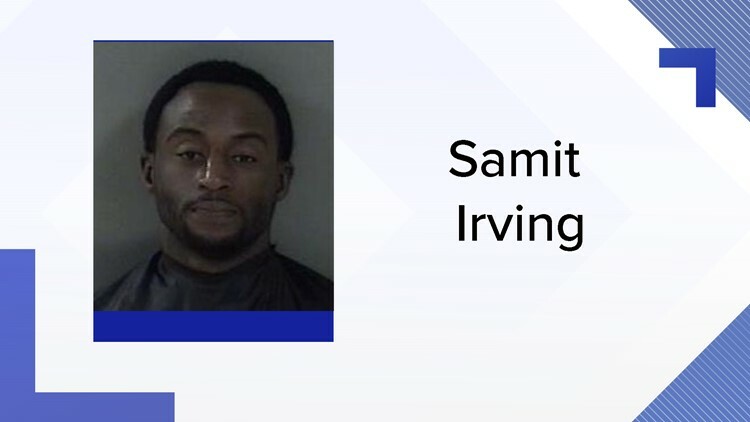 Samit Irving, 29, of the 3800 block of 42nd Place, was wanted by the Indian River County Sheriff's Office and attempting to evade capture, deputies said. "Don't say anything. The police are after me and are outside right now. I can't leave," Irving said as he closed the woman's door behind him, according to his arrest affidavit. The woman said she was afraid to move, but eventually found an opportunity to get to the door and open it. Irving ran, and the woman quickly flagged down a deputy in the area. Irving was captured nearby in a wooded area behind Wabasso Foods, 6375 85th St., and was charged with burglary of an occupied dwelling, exposure of sexual organs, petty theft and resisting arrest without violence. He also was served with outstanding warrants for giving a false name while detained, resisting arrest with violence and violating probation in a cocaine possession case. The spaghetti was the only item reported stolen in the break-in. Irving was being held without bail Tuesday in the Indian River County Jail.